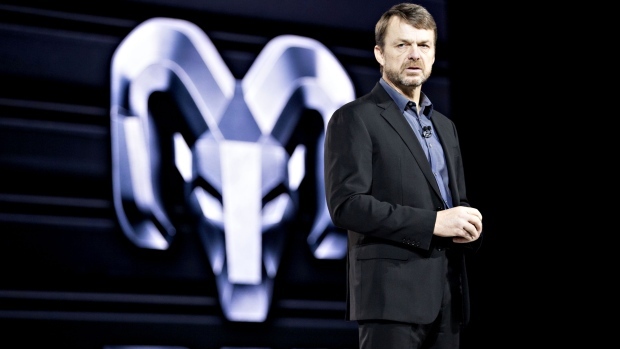 Fiat Chrysler Automobiles NV named the head of its Jeep and Ram brands, Mike Manley, as chief executive officer to replace Sergio Marchionne, after complications from shoulder surgery left the 66-year-old executive unable to return to work. Manley, a 54-year-old Briton, is the man behind the extraordinary success of the Jeep brand’s global expansion. He will start immediately, Fiat Chrysler said in a statement. Manley joined Chrysler in the U.K. in 2000 when the carmaker was part of Daimler. He was named head of Jeep at the time of Fiat’s acquisition in 2009, and led the transformation of the iconic American brand into a cash machine. Analysts estimate that Jeep alone could be worth the entire US$35 billion market value of Fiat Chrysler. Marchionne’s health has "worsened significantly in recent hours," and he will be unable to return to work, the company said. The executive was set to retire in April 2019. His illness accelerated the timeline for a succession decision that was already seen as a crossroads for the company. Naming Manley to run the company is just the first of a number of pivotal choices -- like whether to remain independent -- facing Chairman John Elkann, heir to the founding Agnelli family. "I am profoundly saddened to learn of Sergio’s state of health," Elkann said in a separate statement. "It is a situation that was unthinkable until a few hours ago, and one that leaves us all with a real sense of injustice." At the April general meeting, Elkann, 42, and Marchionne both said that Fiat Chrysler is now strong enough to survive on its own and doesn’t need a partner. Fiat reiterated this view on Saturday, saying Manley and his team will implement the five-year business plan presented on June 1 to assure Fiat Chrysler’s "strong and independent" future. With Manley, Fiat’s board passed over two other internal candidates -- Alfredo Altavilla, a close aide to Marchionne and a Fiat veteran who’s overseen operations across the globe and now runs the automaker’s European business, and Chief Financial Officer Richard Palmer, who is well known to Wall Street and helped combine the company’s operations after the merger with Chrysler. "He’s not a guy with a huge ego. That’s another reason why he’ll be a good leader," said Rebecca Lindland, an executive analyst at Kelley Blue Book, adding that it’s impossible for one person to fill Marchionne’s shoes. "But he certainly has to figure out, make some tough decsions on which brands are struggling, and look at electrification." Manley had already been tasked with the biggest job of the five-year plan: Doubling Jeep sales volume by 2022 from the 1.4 million vehicles sold last year. He needs a 40 per cent jump this year alone to meet the 2018 marker of 2 million set out by Marchionne. "If I don’t grow volumes with those opportunities, then we’ll be sitting and having a different conversation next January, won’t we?" Manley said in an interview earlier this year. Marchionne, known for his rumpled sweaters and nonstop work habits, was rivaled only by Renault-Nissan-Mitsubishi’s Carlos Ghosn for longevity as an automotive CEO. He was appointed in 2004 as the fifth Fiat chief in a two-year period, He managed to return the carmaker, which had lost more than 6 billion euros (US$7 billion) in 2003, to profit in 2005 by cutting costs and laying off workers, and then looked for a partner. With the acquisition of Chrysler in 2014, Marchionne gave Fiat the global scale needed to survive. Still, as the world’s seventh-largest automaker, the company may lack the size it needs to compete in an industry being reinvented by the emergence of autonomous driving and electrification. 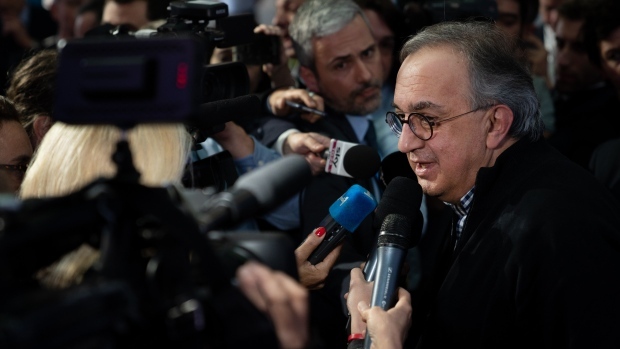 Fiat Chrysler has been facing questions about Marchionne’s health for almost a month-- his last public appearance was June 26, when he spoke at an event in Rome. The company said on July 5 that the CEO underwent an operation on his right shoulder and was expected to require "a short period of convalescence." Marchionne was known for seldom taking a break, often sleeping on his private jet while traveling overnight between Turin, Italy, Detroit and London. Weekend meetings were part of the routine for an executive who wore black sweaters so he didn’t have to waste time in the morning choosing between suits. He drank volumes of espressos daily and was a chain smoker of Muratti cigarettes before quitting both habits about a year ago. Marchionne continued to shake up the industry with controversial moves that haven’t always endeared him to his counterparts. Chrysler stopped making most passenger cars 2016 to focus on SUVs, a decision that since followed by Ford Motor Co. and General Motors Co. In Europe, Marchionne moved away from mass production, transforming the Turin plant that churned out some 500,000 cars a year in the 1970s to what will now be a niche producer of Alfa Romeo and Maserati SUVs. He also focused on brand building, spinning off Ferrari -- a move that’s built enormous value for shareholders, especially the Agnelli family. Jeep, which produced about 300,000 cars in 2009, is now a global brand after expanding in Europe, China, India and South America. At the June 1 five-year plan presentation, Marchionne’s closing remarks were directed to his as-then unnamed successor, warning him to stay flexible and trust the "survivor culture" ingrained in employees of the two predecessor companies. "They confronted the threat of losing their dignity by losing their work," Marchionne said. "Can Marchionne leave a script or instruction? The answer is that there is no script or instruction. FCA is a culture of leaders and employees that were born out of adversity and who operate without sheet music, that is the only way we know."